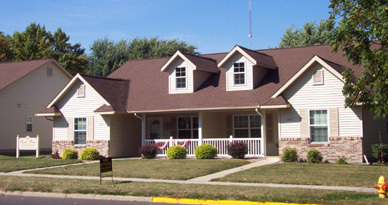 Amenities: 2 car attached garage with openers, covered porch and cemented patio area. Stove, refrigerator, microwave and dishwasher. Washer and dryer hookups. Step-in showers available. Vaulted ceilings with ceiling fans. Large storage closets. Snow removal and lawn care provided. Quiet residential neighborhood. No pets allowed. Companion and service animals allowed with proper authorization. $25.00 application fee required per/adult (18+). Must accompany original application. Only money orders issued to property name accepted. No cash! 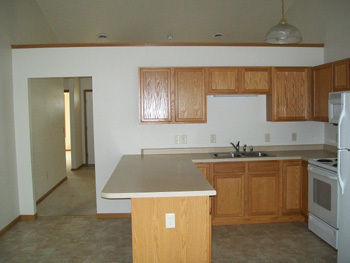 Townhome pictures may not represent layout of available units. personal tours or any other questions you may have. to view or print the application.